Dr. Caroline Jermanus is a board certified periodontist. She grew up in Florida and attended Nova Southeastern University for her dental training. She went on to finish specialty training in periodontics and dental implants at the University of Florida, where she received a certificate in periodontics and dental implants in addition to a master’s degree in Oral Biology. 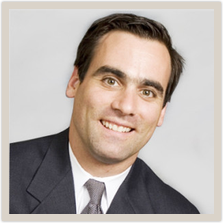 Dr. Jermanus is proficiently trained in all aspects of periodontics including non-surgical and surgical treatment of periodontal diseases, periodontal bone regeneration and periodontal soft tissue grafting. She also has extensive training in the surgical placement of dental implants, hard tissue grafting including sinus augmentation and soft tissue grafting to enhance esthetics of dental implants. She is a member of many dental and periodontal organization including American Board of Periodontology, American Academy of Periodontology, and the International Team for implantology. 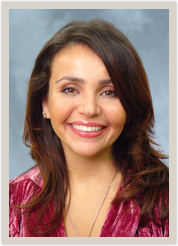 When not practicing periodontics, Dr. Jermanus enjoys cooking, swimming, reading and most of all; spending time with her family Dr. Jermanus is dedicated to delivering the highest quality dental treatment. She believes in prevention first and foremost. She strives to provide her patients with the best treatment options available focusing on what is necessary for their long term oral health. Born as the third of four children, he was raised in Chicago’s western suburbs. A graduate of Marmion Academy, Dr. Clark continued his education at the University of Colorado in Boulder studying molecular biology and biochemistry. After graduating college, Dr. Clark taught high school biology and coached football for a few years prior to starting dental studies at the University of Illinois at Chicago College of Dentistry. Completion of orthodontic residency at the University of Rochester-Eastman Dental Center in Rochester, NY and a fellowship in craniofacial orthodontics at the University of Illinois Medical Center in Chicago provided extensive training in orthodontics, facial growth and craniofacial dysmorphology. These experiences provided the foundation for becoming a Diplomate of the American Board of Orthodontics in 2007 and recently in renewal of Dr. Clark’s board certified status in 2014.